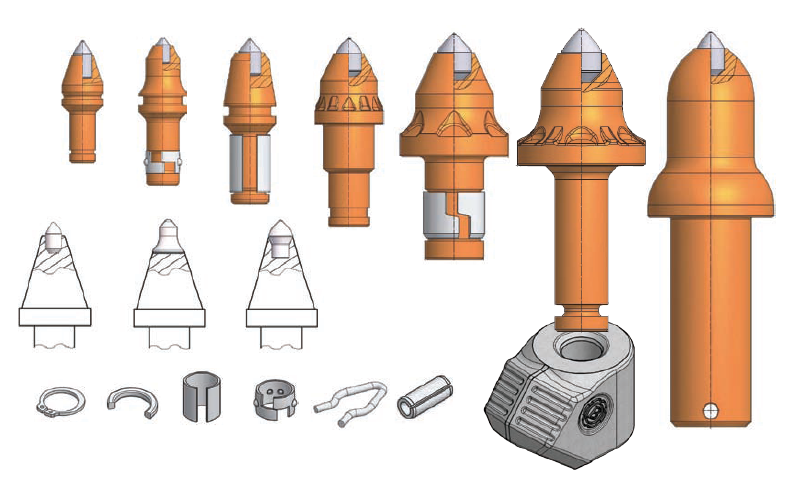 Regardless of the application, VBL™ has the right Round Shank Cutter Bits and Holders for the job. Applications include: Continuous miners, trenchers, augers, horizontal directional drills, hydraulic milling cutters, stump cutters/grinders, grader blades, road headers and many more. Using the right combination of holder, bit body, carbide shape/size/grade and retention system can drastically increase productivity in any material or application. Made for VBL™ in Germany.